Bahubali: The Conclusion, the highly-anticipated sequel to Bahubali: The Beginning, is out about two years after the first film tumbled all kinds of box-office records in India. The unprecedented success of the first film has made Bahubali a big brand of its own. Bahubali: The Conclusion is coming one whole year after it was promised. The delay is of course understandable. The overwhelming success of the first film meant that S. S. Rajamouli and team had to take things much more seriously. There were no longer going to make a film primarily for Telugu or the South Indian audiences. Also, the budget for the sequel was much higher. As the stakes got higher the execution took much longer than expected. Bahubali 2 was going to be the biggest test of S.S. Rajamouli’s life. But after watching it one can safely say that he has passed it with flying colors. Rajamouli is certainly one of the world’s greatest filmmakers alive and working today. His master storytelling and showmanship are nigh unparalleled. So, without much ado, let’s look at the various aspects of Bahubali: The Conclusion that may make it the biggest blockbuster in the history of Indian cinema. 1. Finally the all important question ‘Why did Kattappa Kill Bahubali?’ gets answered and it will break your heart. Even since Bahubali: The Beginning ended in a cliffhanger that the loyal servant Kattappa himself betrayed and killed Amarendra Bahubali, everybody has been dying to find out the reason behind Kattappa’s betrayal. Since then the question gave rise to several fan theories but none provided an answer that would satisfy the Bahubali fans. When a question becomes so big the answer sometimes doesn’t live up to the expectations. Fortunately that’s not the case here. Without giving away any spoiler all that can be said is that the reason why the loyal servant betrayed his trusting master would leave a deep impact on you. It will perhaps make you cry. At the same time the answer will satisfy you beyond any doubt, proving to be well worth the wait. After seeing Rana Daggubati’s hulky physique one is reminded of Arnold Schwarzenegger and Sylvester Stallone in their prime. 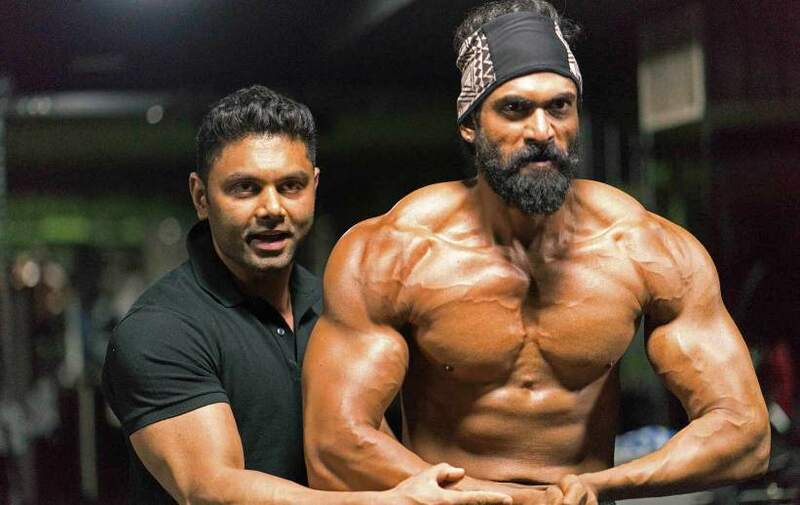 Standing 6 feet and 3 inches tall, Daggubati can give the likes of Dwayne Johnson and Vin Diesel a run for their money. Menacingly essaying the character of Bhallala Deva, Daggubati is a sight to behold. His remarkable physical transformation is a result of his commitment and dedication. Rana, who loves boxing and wrestling, has all the makings of an international star. He is already a popular name in the B-Town and has starred in films like Baby (2015) and The Ghazi Attack (2017). Hopefully, we will get to see him more often in Bollywood films in the near future. 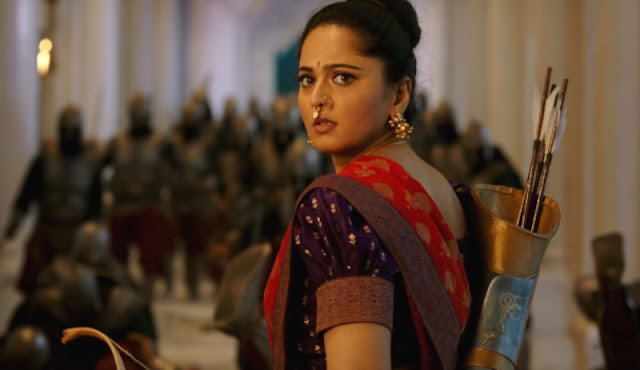 While we got to see Anushka Shetty as an old woman all chained up in the first movie, in Bahaubali: The Conclusion, we get to see her in a completely glamorous avatar as a warrior princess whose enchanting beauty further intensifies the rivalry between Bhallala Deva and Amarendra Bahubali. We get to see the youthful Devasena romance Amarendra in exotic locations. And, Shetty, to her credit, pulls it off brilliantly. Her body language is spot on. Strong female characters are hard to come by as far as the action genre is concerned but Bahubali here again proves to be an exception. Truth be told, there are few makers in the country today who come close to matching S.S. Rajamouli’s cinematic genius. Here is a maverick filmmaker who knows what it takes to awe the audience. Not a fan of 3D, Rajamouli has the gift of showmanship that he has demonstrated time and again. 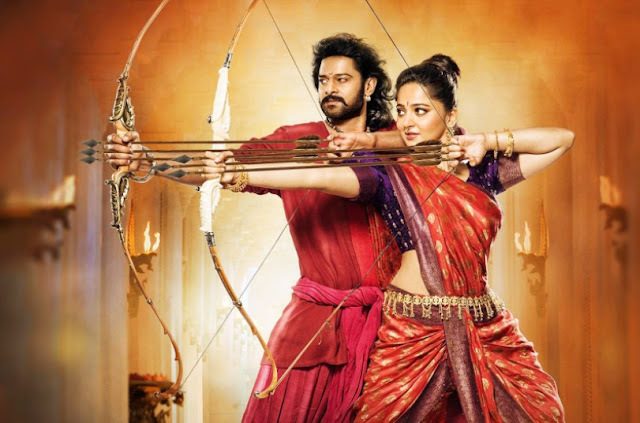 It is this showmanship that made Bahubali: The Beginning the first dubbed film in Hindi to make over 100 crore with the overall earning crossing the 600 crore mark. If Bahubali: The Beginning was all about introducing the larger than life characters, Bahubali: The Conclusion is about revealing their inner depth and Rajamouli is certainly up to the task. Here he proves himself to be much more than a mere showman. Drawing heavily from the Amar Chitra Katha stories, he has created something that no other Indian filmmaker before him ever thought of. Finally, we have a movie franchise of our own which can stand shoulder to shoulder with the best of Hollywood. Credit not only goes to the VFX team which executes it but also to the man who masterminded it. Hopefully, Bahubali 2 is just the beginning of many more great things to come from Rajamouli. Speaking of strong female characters, it is difficult to overlook Sivagami. In Bahubali: The Beginning, we had witnessed how Sivagami sacrificed herself to prevent young Mahendra Bahubali’s life. We also saw how Sivagami always valued merit over emotions. It is Sivagami’s bold decisions that led to the continuing supremacy of the Mahishmati kingdom. It wouldn’t be a hyperbole to say that without her there wouldn’t have been any Bahubali saga. In Bahubhali: The Conclusion several other layers of her stoic character are revealed that will make the viewers understand her even better. 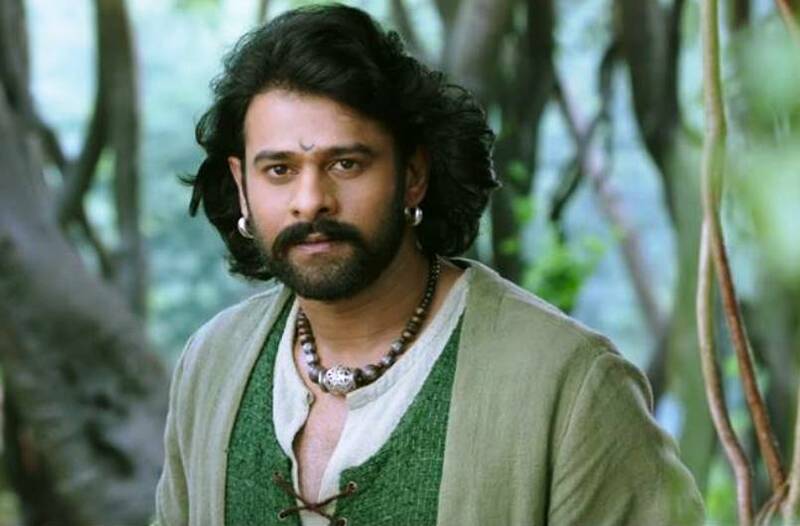 Regardless of the merits of the various other characters there is no denying that Prabhas plays the movie’s two central characters and so the most is expected out of him as a performer. The roles obviously involve a lot of physicality and have taken a lot of toll on him. He gave away five years of his life to Bahubali, shooting endlessly with Rajamouli and team on the project and it shows. In Bahubali 2, he not only improves upon his efforts in the first movie but also succeeds in leaving an impact that would endure the test of time. Prabhas and Rana Daggubati may be good friends off-screen but their rivalry in Bahubali can give jitters. The hatred in their eyes tells it all. They just can’t stand each other. Whenever they are around once senses a time bomb ready to explode any moment. The two actors need to be commended not only for the time they spent in the gym to get themselves in the right shapes but also for making their rivalry look so real on the big screen. That’s nothing short of a remarkable achievement! A version of this article was first published in Wittyfeed.